It’s usually a bad sign when someone who, despite his utter lack of credentials to debate a given technical issue professes to correct an expert in the field (and seriously misrepresents several points along the way), then complains when his lack of credentials to engage in that argument are soberly pointed out by an observer. Matthew Boudway, responding to my post of yesterday against his, writes “It’s usually a bad sign when someone begins his argument by pointing out his opponent’s lack of credentials.” I certainly did this in regard to Boudway’s patent unpreparedness to argue points of canon law. But may I add, it’s also usually a bad sign when someone who, despite his utter lack of credentials to debate a given technical issue professes to correct an expert in the field (and seriously misrepresents several points along the way), then complains when his lack of credentials to engage in that argument are soberly pointed out by an observer—even though such observation might serve to soften the sting of correction that needs be offered against the amateur’s misrepresentations. 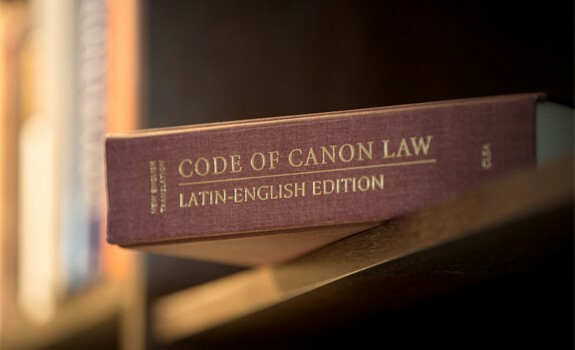 If Boudway is startled that a professional canonist who regularly engages mistaken assertions of canon law made in the public arena has, along the way, noticed a distinct up-tick in the number of amateurs who think that, because canon law is available in the vernacular, their ability to read the canons supplies them the ability to explain canon law to others (even to real experts in the field! ), all I can say is, Boudway is even more out of touch with current canonical discourse than I had thought. Scrolling through my blog for the last several years, however, would amply show Boudway how many amateurs—on the ecclesial ‘Left’ and on the ecclesial ‘Right’—seemed confident of their ability to explain the law to lawyers, too. As many amateurs do when called out by professionals for making serious mistakes in their discussion of an issue, Boudway plays the pity card against Murray and me, ridiculing our degrees, complaining that lo! 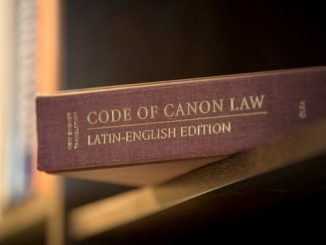 some words don’t mean in law what they mean in daily speech, and even sarcastically admitting that canon law uses Latin. Still, Boudway’s public misstatements of canon law needed, in my opinion, and received, public correcting, offered for his sake (and yes, some whom I address do change their minds) and for the sake of readers who think that one’s ability to write decent prose, as Boudway does, reflects one’s good understanding of what one is talking about. Which here it does not. Anyway, the closest Boudway comes to making a canonical follow-up point seems to be his observation that “The terms ‘extrinsically indissoluble’ and ‘intrinsically indissoluble’ are, as the L’Osservatore Romano delicately observed in 1998, of ‘relatively recent’ origin.” That sounds about right, but Boudway relates them as if to imply that the concepts such terms represent are also of relatively recent origin. 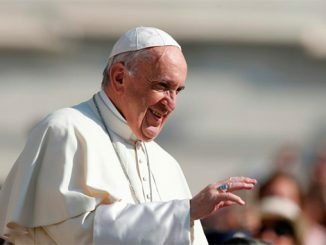 If that is his point, he strays, for what is doctrinal and canonical history but, in large part, the unfolding and the specification and the elaboration of truths left to the Church by Christ? The Church started celebrating the sacraments on Pentecost, but it took her a millennium to come up with a common and consistent vocabulary by which to treat such actions. One could as well complain that terms like “primary and secondary objects of infallibility” are of relatively recent origin, as is “diocesan curia”, “secular institute”, or “diriment impediment”—none of which are found in Scripture. But, are these concepts and dozens more besides, to borrow Boudway’s words, “patch[es] sewn on by certified tailors, made of the finest Roman silk money can buy”? (As I said, Boudway knows little of canon law but he does turn a nice phrase.) I think not. Unfortunately Boudway leaves unrepaired the central flaw in his attack on Murray and ignores the main point I made in Murray’s defense: that there is at least one exceptionless norm in marriage law, and it is this: consummated marriage between two baptized parties is, by any definition, indissoluble except by death (Canon 1141). For a man who professes to be struck by exceptions to what some suppose are exceptionless norms, I would have thought Boudway might take solace in knowing that at least one exceptionless marriage norm doesexist. Yet Boudway avoids it. Perhaps it’s inconvenient. Enough of this, save for a final observation. Almost every canon lawyer I know is happy, verging on eager, to explain the Western world’s oldest continuously functioning legal system to persons desiring to know about our Church’s canon law. 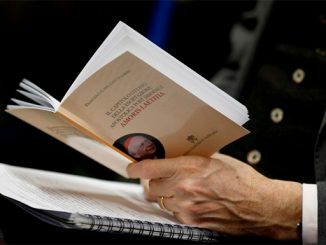 Virtually every canonist carries on, behind the scenes, a steady stream of information sharing, explanations, advice, and guidance concerning the Church’s law with real people facing real issues. We canonists know, from years of dedicated study and extensive practical experience, how much pastoral wisdom is wrapped up in canons that, to most people, seem dry as dust, and we want to share it. Had Boudway written privately to Murray (or to me) with questionsabout the canon law of marriage instead of broadcasting his mistaken theories on the internet, he would have gotten prompt and competent answers. Instead, he chose to write publicly against Murray attackingthe canonical and doctrinal points that Murray, and countless others who actually know what they are talking about, had defended correctly. Boudway’s approach prompted a different kind of response.